Doolan’s main observation is the existence of what he calls a ‘Guild of Historians’, consisting of mainly white males based in Leiden, which has resulted in a neglect of attention for the dark sides of Dutch colonial history. He sees that the ‘guild’s power’ has started to wane only recently following historical work by ‘outsiders’ like Rémy Limpach, who shows in his recent publication that the Dutch war crimes in colonial Indonesia were widespread, structural and fully supported by the legal, political, and military leadership. Limpach’s publication however, did not come as a big surprise to either Dutch or Indonesian historians who are and have been working on Dutch colonial history. 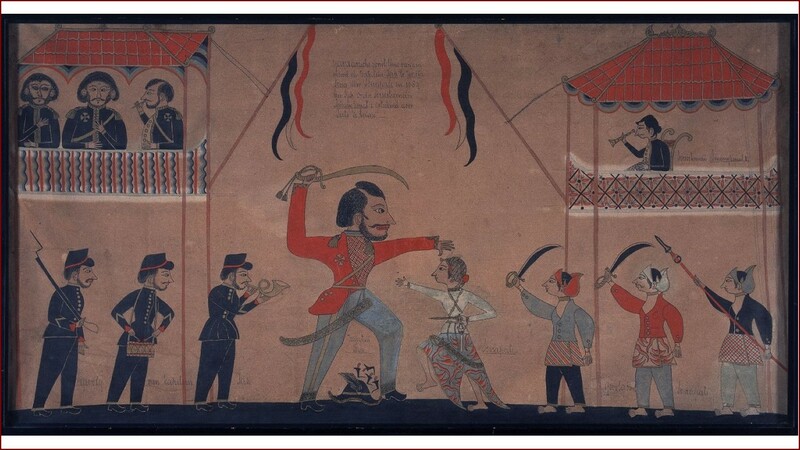 Over the past ten years the issue of Dutch war crimes and colonial violence has become a topic of public discussion following the uncovering of new archival material of Dutch war crimes, like photo albums from Dutch war veterans depicting atrocities during the Indonesian war for independence (1945-’49). A growing tendency to critically reflect on the colonial past has existed in the Netherlands since the 1990s. This is mostly the result of the rise of the Anglo-Saxon theory of postcolonialism and the emancipation of migrant groups in Dutch society. This found a response mostly in literary studies and relatively new academic disciplines at the time like gender studies and cultural studies. Influenced by these trends, Dutch historians have since begun to actively attempt to write a ‘New Dutch Imperial History’. Much work has been carried out in terms of discussing and overcoming empiricist methods and approaches over the past decade, which shows that it requires a lot of effort and time to move beyond such deeply ingrained attitudes. As progressive Dutch historians, Doolan names Paul Bijl, Bart Luttikhuis, Remco Raben and Stef Scagliola – again white males with the exception of Scagolia – while to our knowledge Susan Legêne, Henk Schulte Nordholt, Alex van Stipriaan and Gloria Wekker have also been decolonizing Dutch history for many years. Many others now follow in their footsteps. Just to name a few, Marieke Bloembergen, Martijn Eickhoff, David Kloos, Matthias van Rossum, Karwan Fatah-Black, Markus Balkenhol, Dienke Hondius, Elisabeth Bekers, Sarah De Mul, Isabel Hoving, Liesbeth Minnaard and Sandra Ponzanesi all work in a very critical and self-reflective manner at the decolonization of Dutch History. Their work shares a reassessment of the available historical sources, or the lack thereof (there are hardly any accounts of slaves for example), and a reinterpretation of those sources that consider a variety of perspectives and experiences, such as Indonesian points of view, and thus the writing of multiple histories. For instance, the research project ‘Sites, Bodies, Stories. Dynamics of heritage formation in colonial and postcolonial Indonesia and the Netherlands’ (2008-2013) largely financed by NWO was a very successful collaboration between Universitas Gadjah Mada, the Eijkman Institute, NIOD, KITLV, VU University, and Tropenmuseum. Publications, (public) lectures and university courses are the products of these kind of research projects. Are we abdicating our responsibility, as Doolan states? On the contrary! But we do agree with Doolan that more can and should be done. Dutch historians need to continue decolonizing Dutch history and to take it a step further. Dutch society must be awakened to the fact that Dutch colonial history and its legacies are deeply interwoven in the fabric of today’s society in the form of cultural hierarchies, including racism. To this end, critical historical research will be decisive in establishing what exactly happened, when, where, how, and who was accountable for what. But decolonizing Dutch history should go beyond finger pointing and determining who was right or wrong, which is not necessarily helpful in decolonizing history. Instead, it should be acknowledged that Dutch and Indonesian histories are so interlaced that they can only be truly understood when analyzed in cohesion and unity through collaborative efforts. Dutch historians should make a point of executing research through engaging in dialogue with Indonesian historians, both male and female, to exchange and enrich ideas and perspectives, to continue moving forward in Indonesian colonial history, and to connect and relate to a multitude of experiences, voices and realities past and the present, in the Netherlands and in Indonesia. Long before Doolan, Dutch historians realized that ‘Dutch colonial history is far too great a social and historical significance to leave it to Dutch historians alone,’ and started to collaboratively decolonize and rewrite Dutch colonial history. This is very much an inclusive process where there is of course room for ‘outsiders’, but, in our view, it is even more important that Dutch historians embrace a collaborative, critical method and approach to rewrite colonial histories. Sadiah Boonstra is an independent Historian and Curator. Her research and curatorial interests focus on the cultural history, heritage and performing arts of colonial and contemporary Indonesia and their representation in the Netherlands. Caroline Drieënhuizen teaches and researches cultural history and decolonisation of (colonial) Indonesia and has a particular interest in material collections from the colonial past. She is assistant-professor of cultural history at the Open University of the Netherlands and affiliated researcher at the University of Amsterdam. Of course history needs to be rewritten, including the history of the Dutch-Indonesian relations. And of course much more attention should be paid to the resistance against colonial rule (not only in the 1930’s and ’40s but also to earlier rebellion as the revolt led by Diponegoro for instance), as is the case with the resistance against slavery in the ‘West-Indies’ (as led by Boni in Suriname and Tula on Curacao). But at the same time – when we restrict ourselves to Indonesia – I think one-sided attention to Dutch action should also be overcome. Blood is not only on Dutch hands and atrocities have also been committed by Indonesian freedom fighters (in the first year after the Japanese capitulation in 1945 actually more by them than by the Dutch). Comparitive studies to other decolonization conflicts is also necessary. But a unilateral approach will the understanding for what really happened in Indonesia during the 1940’s (and what the Moluccas concerns also still 1950) in fact stand in the way. And stands also in the way of reconciliation and of processing of the past (Vergangenheitsbewältigung, as the Germas say).